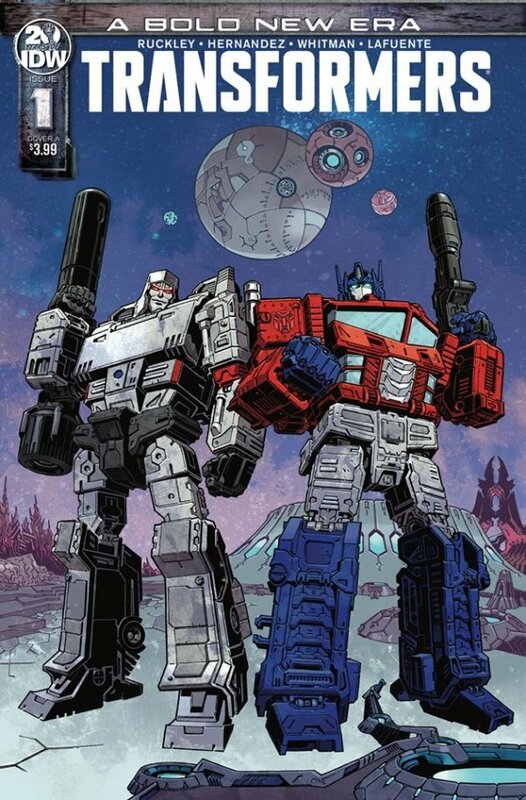 A new start from IDW Publishing – a new Transformers series. Here are my thoughts! A fresh start to the Transformers. We’re on Cybertron and there is no war. Although there is tension. Optimus is there (of a sort) as is Megatron, but there are no Decepticons. We know that is on it’s way, but that makes this story no less interesting. We also get a new Cybertronian – Rubble, fresh out of the box and wanting to encounter everything. This was a good way to flesh out the world and what happens with the Transfomers – I have a feeling his side will be interesting. There are some other familiar faces (and mentions) with Prowl and Ironhide, so although this is different, there is a good degree of comfort. The art is very enjoyable, with some excellent scenes and some very good lighting in some panels. I think this is a good introduction to newer readers and a nice reboot for established Transformers readers!